It’s always fun to see what happens to my students after they leave class. 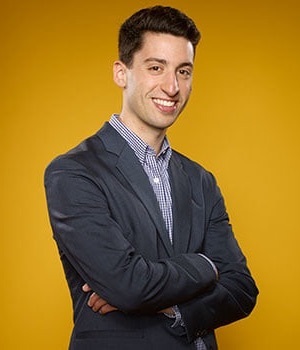 Jeff Witten started CoinOut four years ago in my Columbia University 5-day Lean LaunchPad class. CoinOut eliminates the hassle of getting a pocket full of loose change from merchants by allowing you to put it in a digital wallet. Jeff just appeared on Shark Tank and the Sharks funded him. We just caught up and I got to do a bit of customer discovery on Jeff’s entrepreneurial journey to date. It was surreal. We were not prepped or told what to expect, and really just thrown into the “tank” like a baby in the deep end. Given the stage and possibility of embarrassment, it was very intimidating. With that came a ton of adrenaline – it felt like a gallon of it was pumped into my veins – and it allowed me to focus and defend the business/myself as if there were no tomorrow. Looking back I can barely remember what went on in there, but just that I went in with a fighter’s mentality of not letting them speak over me, bully me or misrepresent what we are doing. Anything about the Lean LaunchPad class or just being an entrepreneur in general prepare you for pitching on Shark Tank? 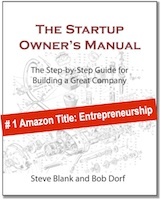 Coming into the Lean LaunchPad class, what did you know about starting a company? I knew very little! I had lots of thoughts that turned out to be wildly incorrect and off target. I had a faint idea of how to interact with potential customers, but no real-life experience doing so. I also knew how to write up a great, theoretical proposal and presentation but that was about it! What was the 5-day LaunchPad class experience like? The 5 days were still one of the most intense stretches I’ve gone through (even more intense than some law school finals)! I was working with 4 other folks for the first time and we had to slam together as much as possible to come to some legitimate findings by the end of the course. We actually forced our way into a retail conference that was going on in the Javits Center and ran around berating a million different very large companies, half of whom told us to get lost. At the end of the day, we were able to re-focus and come up with half decent findings with the help of the business model canvas and mentoring from our professors. It was a real whirlwind, but when I look back, many of the discoveries still animate the product and company today. What did you learn in the LaunchPad class? I learned how to build a Minimum Viable Product (MVP), test it with real customers and ask the right questions to get unbiased feedback. I took those learnings and implemented that immediately in a pilot while still in school. 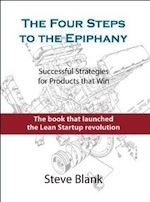 I feel like I’ve done 30 different MVP’s and customer tests over the few years since the course and continue to use the lean methods in all things we look to do for our customers and merchants. What were the biggest learnings in your first 3, 6, 12, 24 months as an entrepreneur? The biggest learning was that it’s vital to get out of the building. After getting some data and feedback it’s easy to then say we have enough and know what we need to build. Still today, even after a couple years at this, I have to remind myself that we always have more we can learn from potential and existing customers. I would say the first 3 months it was to keep asking questions and iterating based on what we were getting. After 6 months, it was learning how to tackle everything with grit and determination as if there were no other option. And in the 12 – 24 months it was to always keep an open mind and never assume a product is right until you truly have product-market-fit. We keep doing pivots to this day. We believe we will always be searching for a better version of product-market-fit! What are the top three things you wished you knew when you started your company? I wish I knew how critical good distribution channels are, particularly in the early stages of a company. You can have the greatest product in the world but if it can’t get into customers’ hands efficiently and effectively it is meaningless. I wish I knew how difficult it is to change people’s perceptions in large companies. Sometimes when you are hot out of the gates with entrepreneurial fever you think you can do anything. I think that is always a valuable feeling to have, but when selling through to larger organizations I’ve learned you need to temper your expectations and do as much as you possibly can to mitigate the risks of partnership ahead of time. Show them why they need to do it rather than why it would be a nice thing to have. I wish I knew how much fun this was going to be because I would have gotten in sooner! Many people say how hard entrepreneurship is, and I 100% agree. It is incredibly hard. But it is also rewarding like nothing else and when things work out well it is really fun. 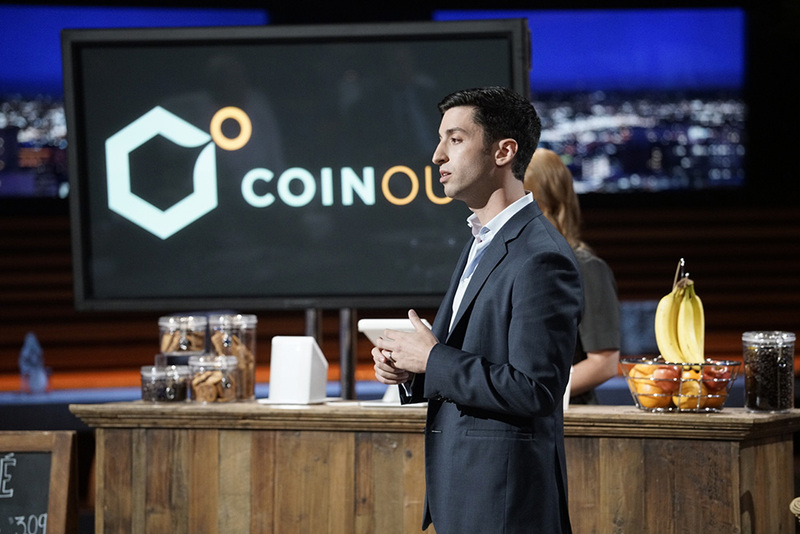 See the articles about CoinOut in Forbes and in Columbia entrepreneurship and on Shark Tank episode 23. While we can’t guarantee an appearance on Shark Tank, the five-day Lean LaunchPad class at Columbia is offered every January and open to all Columbia students. Over the last year we’ve been rolling out the Hacking for X classes in universities across the U.S. – Hacking for Defense, Hacking for Diplomacy, Hacking for Energy, Hacking for Impact (non-profits), etc. All are designed to allow students to work on some of the toughest problems the country has while connecting them to a parts of the government they aren’t familiar with. When they leave they have contributed to the country through national service and gained a deeper understanding of our country. Here is the view from Columbia University. Success no longer goes to the country that develops a new fighting technology first, but rather to the one that better integrates it and adapts its way of fighting…Our response will be to prioritize speed of delivery, continuous adaptation, and frequent modular upgrades. We must not accept cumbersome approval chains, wasteful applications of resources in uncompetitive space, or overly risk-averse thinking that impedes change. If you read these quotes, you’d think they were from a CEO who just took over a company facing disruption from agile startups and a changing environment. And you’d be right. Although in this case the CEO is the Secretary of Defense. And his company has 2 million employees. In January, Secretary of Defense Mattis released the 2018 National Defense Strategy. This document tells our military – the Department of Defense – what kind of adversaries they should plan to face and how they should plan to use our armed forces. The National Defense Strategy is the military’s “here’s what we’re going to do,” to implement the executive branch’s National Security Strategy. The full version of the National Defense Strategy is classified; but the 10-page unclassified summary of this strategic guidance document for the U.S. Defense Department is worth a read. The man with a lot of fingerprints on this document is the Deputy Secretary of Defense Patrick Shanahan. 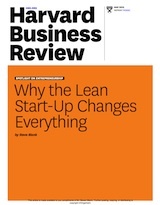 Shanahan came from Boeing, and his views on innovation make interesting reading. All of this means that significant changes will be needed in the Department of Defense’s culture and policies. But now the change agents and innovation insurgents who have been fighting to innovate from the bottom up at Office of Naval Research, National Geospatial-Intelligence Agency, Joint Improvised-Threat Defeat Organization, Defense Intelligence Agency, National Security Agency, Defense Innovation Unit Experimental, Intelligence Advanced Research Projects Activity, etc., will have the support all the way to the Secretary of Defense. The innovation language in this document is pretty mind blowing – particularly the summary on page 10. It’s almost as they’ve been reading the posts Pete Newell and I have written on the Red Queen Problem and the Innovation Pipeline. This document, combined with the split of Acquisition and Logistics, (the office responsible for buying equipment for the military), from Research and Engineering will enable the DoD to better connect with private industry to get technology integrated into the defense department. The last time the country mobilized private industry at scale was the Cold War. As you read the excerpts below from the 2018 National Defense Strategy imagine the shockwaves this would send through any large company. This is a pretty unprecedented document for the military. “Foster a competitive mindset. To succeed in the emerging security environment, our Department and Joint Force will have to out-think, out-maneuver, out-partner, and out-innovate revisionist powers, rogue regimes, terrorists, and other threat actors. We will expand the competitive space while … reforming the Department’s business practices for greater performance and affordability. “Cultivate workforce talent. … Cultivating a lethal, agile force requires more than just new technologies and posture changes; …it depends on the ability of our Department to integrate new capabilities, adapt warfighting approaches, and change business practices to achieve mission success. The creativity and talent of the American warfighter is our greatest enduring strength, and one we do not take for granted. …A modern, agile, information-advantaged Department requires a motivated, diverse, and highly skilled civilian workforce. We will emphasize new skills and complement our current workforce with information experts, data scientists, computer programmers, and basic science researchers and engineers…The Department will also continue to explore streamlined, non-traditional pathways to bring critical skills into service, expanding access to outside expertise, and devising new public-private partnerships to work with small companies, start-ups, and universities. The current bureaucratic approach, centered on exacting thoroughness and minimizing risk above all else, is proving to be increasingly unresponsive. We must transition to a culture of performance where results and accountability matter. Deliver performance at the speed of relevance. Success no longer goes to the country that develops a new fighting technology first, but rather to the one that better integrates it and adapts its way of fighting…. Current processes are not responsive to need; the Department is over-optimized for exceptional performance at the expense of providing timely decisions, policies, and capabilities to the warfighter. Our response will be to prioritize speed of delivery, continuous adaptation, and frequent modular upgrades. We must not accept cumbersome approval chains, wasteful applications of resources in uncompetitive space, or overly risk-averse thinking that impedes change. Delivering performance means we will shed outdated management practices and structures while integrating insights from business innovation. Organize for innovation. The Department’s management structure and processes are not written in stone, they are a means to an end–empowering the warfighter with the knowledge, equipment and support systems to fight and win. Department leaders will adapt their organizational structures to best support the Joint Force. If current structures hinder substantial increases in lethality or performance, it is expected that Service Secretaries and Agency heads will consolidate, eliminate, or restructure as needed. Up to now innovation within the Department of Defense has been the province of a small group of insurgents, each doing heroic efforts. Now innovation at speed has become a nation’s priority. Culture change is hardest in the middle of a large organization. It will be interesting to see how each agency in the Department of Defense (and its contractors) adopts the strategy or whether the bureaucratic middle kills it/waits it out. Time will tell whether it provides real change, but this is a great start.